As much as I love Christian radio, when MacDonald’s program comes on it’s time to turn the radio off. For several months, I tried to listen because my husband said MacDonald was interesting. However the daily dose of overwhelming arrogance left me sickened. As it turns out, my husband finds arrogance to be entertaining, while I am generally hoping for teaching that will move me closer to Jesus. If growth in Christ is your goal, you will need to listen to someone other than James MacDonald. Thank you so much, my dear sister, for sharing this with the Body of Christ and continuing to shine the Light of the Gospel of Jesus Christ upon darkness in the Church. May the Lord continue to protect you and grant you wisdom to know what steps He has you take next. Stand firm in the Lord and in the power of His might! Blessings, Julie! Hello Julie—Curiosily enough, I was eating at a restaurant in Chicago this summer and then noticed Pastor James was sitting at the table behind us. I took the moment to pray and intercede for him. That seemed to be what the Lord wanted. Let’s continue to pray. Thanks. So grateful this information is finally being made available to more people! Can’t thank you enough, Julie, for your courage and perseverance in getting out the truth about MacDonald and HBF. Ever since your job was stolen for no good reason, we’ve prayed for vindication for you and your family, and won’t stop now. We will also continue to pray for MacDonald and others to come to full repentance from all this deep sin. 1) Give me one NT verse which refers to such a thing as “senior pastor” (the Lord Jesus excluded). 2) Give me one NT verse which refers to such a thing as “associate pastor” as an inferior post to #1. 5) Give me one NT verse where any individual in the church (aside from a literal sheep care person or the Lord Jesus) is called by the noun “pastor,” except in Ephesians 4 where “pastors and teachers” is mentioned (which BTW does not refer to “an individual” as such). Julie, praying for you always. Keep fighting the good fight. May God’s truth prevail. What happened to the deer on camp harvest land? The deer are still there. Former staff tell me there are over 100 in the herd, and Harvest said a hunt was scheduled for Dec. 10-12. My question is why does a Church have a hunting camp? Are they using donations to fund this, and does James use this as his private hunt club. I know from experience there is a lot of work associated with doing this. Maintaining the herd, Special high protein diets, shots, inoculations for the herd, etc. Guided hunts, setting up blinds, stands, are the Hunters staying in the cabins built for the Church. From what I understand a man named Chris Brackett is possibly in charge of this. Is he on the Harvest payroll? You can look up Brackett online for info. From what I understand, there were deer on the property when the VanKampens gifted it to Harvest. Camp employees told me that Harvest opted to kill those deer. Then around 2014, Harvest began the new herd with expensive “trophy” deer and built a 10-foot high fence around 140-160 acres. He who doesn’t not at times engage in all these sins is not honest with themselves and the Lord. Where is the love? This is a witch hunt ! Go to a Planned Parenthood location and stand up for the Unborn, are you afraid Christian ? We might engage in these sins, but hopefully repentance will follow. That seems not to be the case in the life of JM. I would not want to be under the leadership (or the thumb) of a person who exhibits these qualities. Cathleen…….there’s a witch hunt in D.C…..
Discernment is in high demand these days, specially the church. Love for the brethren is a commitment…. Not a syrupy liquid. The Scriotures says to put all things to the test, MBI is not exception. Are you accusing your fellow brothers of being afraid? Wanna take a chance with the natives at the Adaman islands? Their natives are not as friendly as the professional and well educated people at Planned Murderhood. Not a witch hunt Cathy, it’s a Camp Harvest Deer Hunt we’re on. Cathleen’s comments are null and void. She has a son who is pastor of Vertical Church Madison, love Dave. Sorry Cathleen! I’m sorry…my comment at 10:28 p.m. was in response to Cathleen Jacobson’s comment, but it didn’t post in the right place! I’ve listened to jm preach the word on moody for some years. His teaching seems biblically based. However, the person conduct he reportedly exhibits has the markings of a narcissist. I have experienced a Christian narcissist in action. They and those who agree with them have a direct pipeline to God. Those who disagree with them are heritics. Please call him Jim to his face, I dare you. You will definitely see his anger issues up close and personal. Thank you for making this letter public. I am saddened that although I and others beseeched the elders to act back in 2007, they did not do so. At least I know that after my family left HBC and these elders left, they realized their responsibility to the body of Christ and made this effort by crafting this letter. Alas, too little and too late. There are others too who share some responsibility. Joe Stowell, where is your testimony in all of this? And so many other elders and leaders that under duress chose to remain quiet…I am grateful that this document exists because although James is already trying to do damage control, this testimony of Elders (not just opinions of a few disgruntled former members) stands in eternity before God and man. Nothing he can say or do can erase that testimony. To quote his response to the article: “refused to engage in public assault on people we once served closely with who just can’t seem to “let it go,” even after all these years.” But notice that they will gladly sue them in a court of law. And “can’t let it go” refers to not some small infractions or nit picking, but to on-going serious moral failures. Thanks again from one of many former members that tried and failed to create safeguards and transparency FOR James’ protection and FOR the protection of the congregation, and FOR the protection of the name of Christ back in 2007. Even so come quickly Lord Jesus. May we be found ready for His return. if it acts like a wolf, atacks like a wolf, and growls like wolf then it’s a wolf. When will you realize and learn that with this many mauled and wounded victims left behind and series of ever more expensive lairs gained in absolute vicious and ruthless way James MacDonald is exactly that? A raparicious, malicious and Gospel using and cunning wolf? This seems very much like someone attempting to try someone in a one-sided public court case. Attempting to sway people before all the evidence is in is very ugly. Of course that would never be allowed in the mind of biased person, especially one benefiting from current HBC status quo and its menacing, avaricious and pretentious despot. 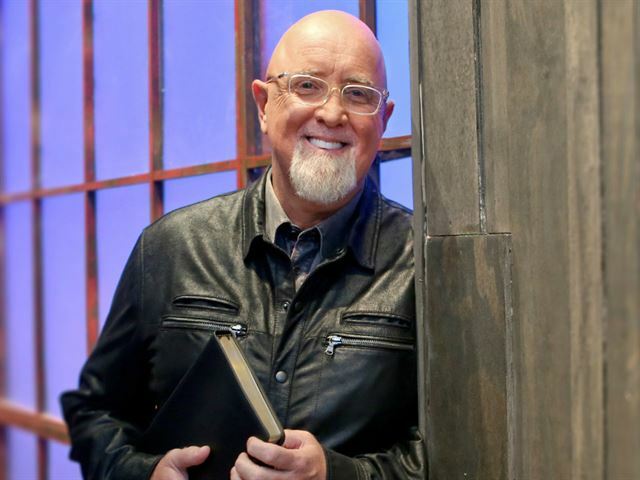 Since I moved to an area of the country with no Moody affiliated radio station, I had not heard James MacDonald’s program and had no idea what happened to him or his ministry in the past five years. So all this comes as quite a shock to me. I always had respect for his teaching but wondered about the attitude he displayed in some of his programs. It sounds as though there was more going on than most people knew. When one member suffers the whole body suffers. When one Christian leader brings reproach on his ministry, all Christians are affected. We need to pray for James MacDonald, for the people of Harvest Bible Chapel and the other churches in their organization. We need to look to God and watch ourselves, lest we stumble as well. And we need to separate ourselves from the errant brother if he refuses to repent. Believers should not be shaken by the actions of one errant leader. We must keep our eyes on Jesus, the author and finisher of our faith. And wherever two or three are met together in Jesus’ name, he is there in the midst of them. I know that is a lot of Scripture quotations, but my point is this. There is a clear way forward for people who have been harmed by MacDonald’s actions, and if they follow it and leave MacDonald alone, he will have to turn to the Lord also. God will not be mocked. James if he has ears better listen up.